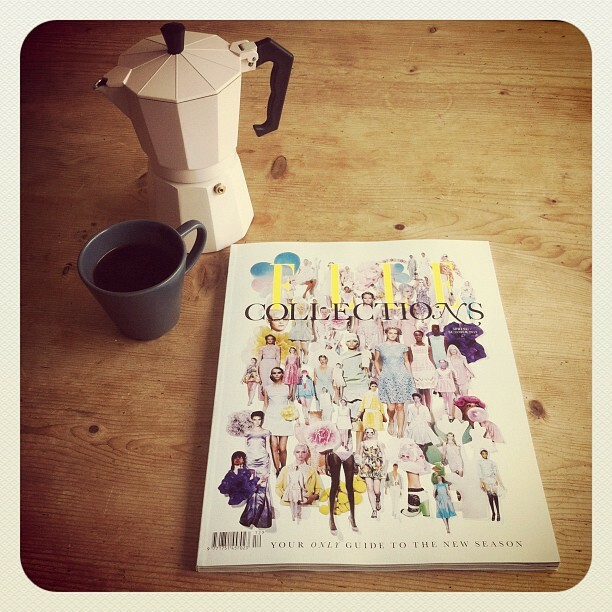 Nothing like a copy of Elle Collections SS12 and a cup of espresso to sort out a bad start to the day. Pretty prints and pastel colours are making me miss the warm weather even more though! 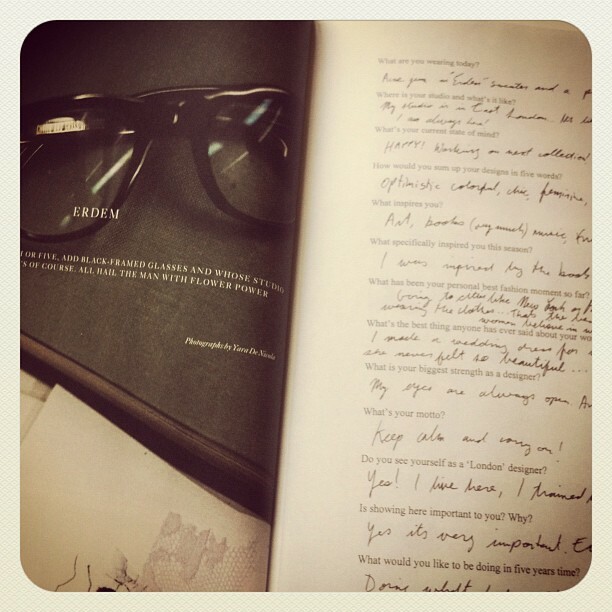 As if I needed anything else to make me love Erdem more.. I certainly appreciate Erdem Moralioglu’s new collection twice as much having learned that it was inspired by one of my favourite novels (and films thanks to Preminger’s adaptation starring Jean Seberg), Bonjour Tristesse.. Happy Burns Night! I’m celebrating tonight with a couple of Scots. I can’t wait until later for the haggis, neeps and tatties. Hope everyone celebrating too has a great night! Wow! How Fabulous! I want to get this book now! I'm loving your blog! I 'd love if you visited my blog for multiple posts on all things fashion and style. I'm following you, I hope you'll do the same. Thanks so much. I've been so many beautiful pastels in magazines and stores lately, and I agree.. it's definitely making me want spring right now! Very beautiful blog dear.Like it.